MY ALL TIME FAVOURITE MASCARA | RAWR BOWS. Hello people! Even though I do I love make up, I go for a very simple and natural look most days, meaning that I only use a few basic products - foundation, bronzer, mascara and not much more. Therefore, if when one of the products I use is very good I can easily see it as it stands out. 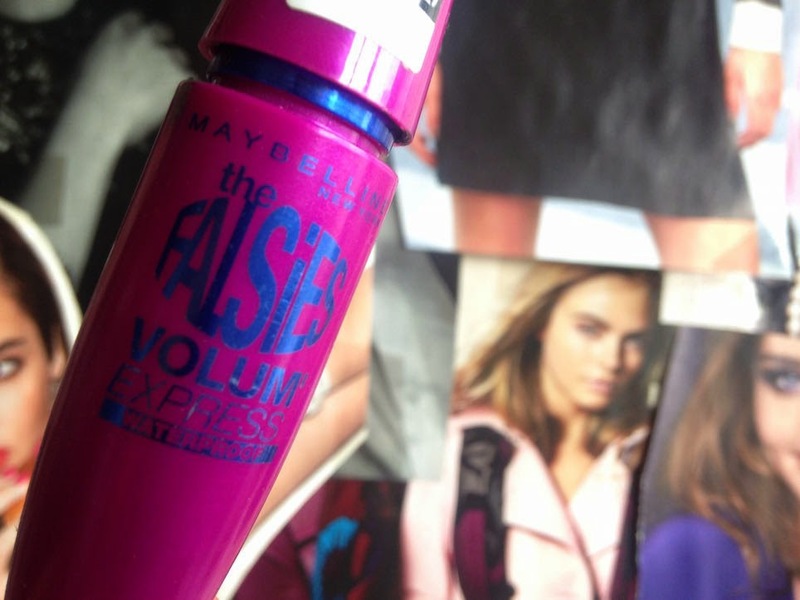 At the moment that amazing product is Maybelline's The Falsies Mascara. I have been using this mascara for several months and I've talked a lot about it here on my blog. This is literally the best mascara I have ever tried (and I've tried quite a few) by far. I don't have infinite lashes and they are not very thick/dark so a good mascara is everything to me. This one not only lengthens my lashes but makes them appear much blacker and thicker. However, it does not look too clumpy or overdramatic. I use it on both my upper and bottom lashes and I feel like it really opens up and defines my eyes, much better than other drugstore mascaras. I have the waterproof version and it could literally stays on for days if I didn't use a make up remover so you won't have to worry about it smudging and making you look like a racoon. However when you do want to take it off your regular make up remover won't work so you'll need to use an eye-makeup remover for waterproof mascara. I use Garnier's and it works perfectly fine, it removes it easily and I don't need to use a lot of product. So there you have it, my all time favourite mascara. What's yours?